The openly gay artist was 24 years old. Kevin Fret, the 24-year-old gay Puerto Rican trap artist, was shot to death early Thursday morning in the neighbourhood of Santurce, San Juan, Puerto Rico, CBS News reports. Motive and suspects in Fret's killing were not revealed by police, who are still investigating. His death represents the 22nd murder in Puerto Rico for 2019, part of what local officials call a "crisis of violence." "Kevin was an artistic soul, a big-hearted dreamer. His passion was music, and still had a lot to do. This violence must stop," Rodriguez said. "There are no words that describe the feeling we have and the pain that causes us to know that a person with so many dreams has to go. We must all unite in these difficult times, and ask for much peace for our beloved Puerto Rico." 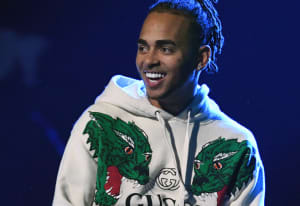 Fret called himself the first openly gay artist in Latin trap. His music video for "Soy Asi," released in April 2018, received over half a million views on YouTube.